Jamey Stegmaier has been behind some of the most successful boardgame Kickstarters, both in terms of critical reception and well run campaigns. 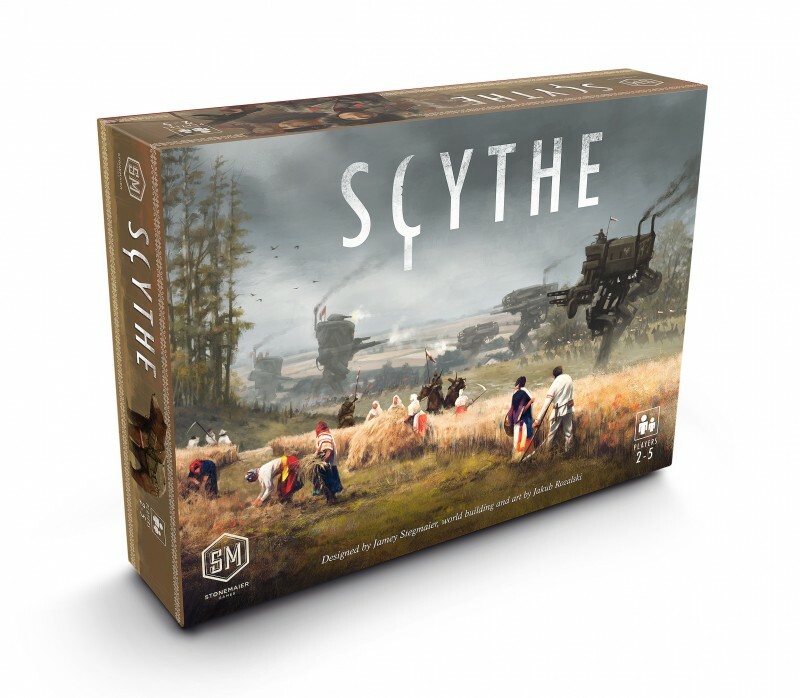 These days the Kickstarter campaign for Scythe is blowing up and has seven days in to the campaign already reached more than a million dollars. We reached out to Jamey to do a designer spotlight, to find out what kind of gamer and designer he is. Sure, I’m Jamey Stegmaier, president and lead designer of Stonemaier Games. I wrote a book about crowdfunding called A Crowdfunder’s Strategy Guide, I have two cats, and I’m scared of potato eyes. Terra Mystica currently sits atop my Top 10 list. I love the engine-building aspect to it and how you’re rewarded with almost every decision you make. I actually think that our latest game, Between Two Cities, is one of the best possible gateway games available now. It’s competitive, but each player has two partners on either side of them who have a strong incentive to help that player, so it’s really easy to just jump and start playing with at least one of those people to guide you. Plus, the rules are really simple. One of my favourite game experiences ever was playing Risk Legacy. It was just so evocative and different to tell a story through a game in that way. Fun. I want games to be fun. We often talk about theme and mechanisms, and I have plenty of thoughts about those elements, but in the end, all I care about when playing a game is having fun. It’s a combination of a love of creating things, a love of tabletop games, and a love of building something that a complete stranger might have a unique, memorable experience with. I’m most proud of the friendships I’ve formed through my games. I always thought that the cool thing about publishing a game would be to have my name on the box, but I’ve found that it doesn’t matter to me at all. I’m just proud that my games have been about to connect me to so many amazing people and help those people connect better to each other as well. Getting it to the table for the first time is so incredibly important. I spend a lot of time conceptualizing, brainstorming, and creating the first prototype, but it isn’t until we play it that I know if it has any true potential. 9 out of 10 games I design don’t get past that first play. They’re so intermixed for me – I really can’t choose one. When I’m brainstorming, I’m simultaneously coming up with mechanisms that tie to the theme and elements of the theme that tie to the mechanisms. With Scythe, the game actually originated with the art before anything else. I get random ideas for mechanisms from all sorts of places, but most often from other games or from specific elements of the theme. As for themes, I’m not exactly sure where they come from. My imagination? Bonus question: Between Viticulture, Euphoria, and Scythe, what do you think is your signature design element? I would say that “flow” is my signature design element, moreso in Euphoria and Scythe than in Viticulture (though it applies to all three). I like player turns to flow smoothly and quickly from one person to the next, without needing to stop the game for a specific phase or round reset. That’s where Viticulture differs—there are rounds—but the similarity is that there isn’t a preset number of rounds. You play until a player’s action triggers the end of the game. I think that’s a key part of flow in my games—players decided when the game ends. The game doesn’t decide for them. I hope you enjoyed this view in to a prominent designers world. 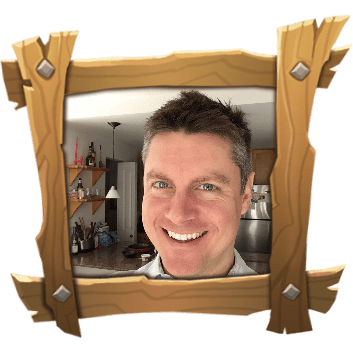 If you want to know more about him and how to run Kickstarters take a look at Jamey’s blog at StoneMeyer Games. If you are interested in the hottest Kickstarter at the moment the Kickstarter for Scythe is right here. Thanks for a great, concise interview! Thank you very much. We try to keep things short and to the point here.